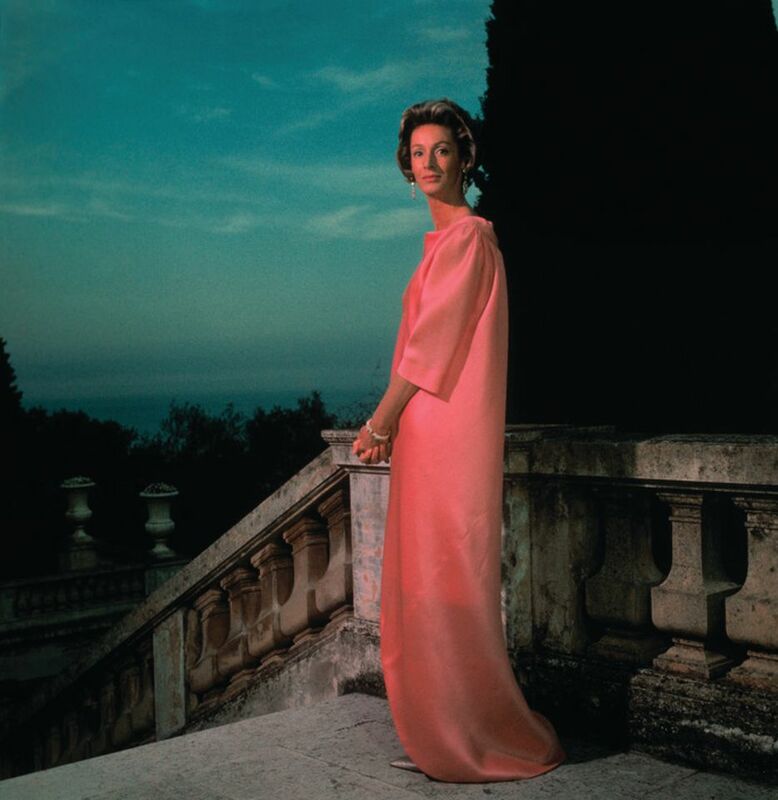 Marella Agnelli, who died on 23 February, aged 91, has been celebrated for her grace and good looks, her marriage to Giovanni (Gianni) Agnelli, and the houses and collections they built together. In surveying the scale and glamour of their patronage and acquisitions, it is easy to lose sight of the intelligence and sophistication of Marella’s taste and how she adapted context to contents and the relationship between the architectonic, fine and decorative arts, among which garden design was prime. Marella’s Italo-American background was at once that of the establishment in that her father was a prince of the Neapolitan houses of Caracciolo di Castagneto and Melito but married to a cerebral, independent descendent of the Mayflower. The family lived among expatriates in Florence until 1929, when Prince Caracciolo was required to lead a diplomatic career, posted most notably to Ankara. He opposed fascism both privately and in the liberal-socialist Partito d’Azione. Caracciolo’s work at the non-profit cultural amenity group, Italia Nostra, established a concern with the environment that also influenced his three children. Marella’s brother Carlo’s war was as a partisan hero, before a career building the media company, Gruppo Espresso, while Marella’s cosmopolitan childhood was furthered at the Académie Julian in Paris. Her brother Nicola, a distinguished documentary film-maker and environmental activist, survives her. A measure of the Caracciolo’s liberal support for their daughter’s career was her move to New York in 1950 to work with Erwin Blumenfeld, where she trained as a photographer, her work later published in Gardens of the Italian Villas (1987). In New York, Marella met Niki de Saint Phalle. It would be this friendship that led to Marella suggesting she install her Tarot Garden at the Caracciolo family estate in the Maremma. With her marriage in 1953 to L’Avvocato, as Agnelli was known, Marella joined that generation of the super-rich, whose identities straddled a pre-war establishment with the rise of modernity and the Italian economic miracle. Their more than a dozen houses reflected both these elements, from the Piedmontese dynastic base at Villar Perosa, a luxurious and imposing Baroque villa surrounded by a dramatic formal garden, to the minimalist Villa Bona in Turin, or the apartment in Rome, which used travertine throughout the space to unify the flow of the rooms and dramatic views. Marella has written of the impetus “to create houses designed specifically around our collection”. To this end the architects, interior and garden designers she worked with were chosen for their ability to adapt to situations as various as Park Avenue, a Corsican convent, or a Moroccan villa. In broadening the idioms of their collecting to include the boldest and most dynamic of the mid-20th century, the Agnellis were breaking from the conventions of Italian perbenismo (propriety), but also allying themselves with the most cosmopolitan of the global rich. David Somerset (later the 11th Duke of Beaufort) at the Marlborough Gallery and Leo Castelli encouraged the acquisition of big contemporary works that filled the spaces of the Agnelli’s houses. Super-charged canvases such as those by Johns, Lichtenstein, Stella and Indiana – which sparked the impetus for Gae Aulenti’s 1969 apartment in Milan – were more typically L’Avvocato’s taste, but each house marked a collaboration between both Agnellis and the designers involved. What defined Marella’s personal taste was a determination to make each house a home. Whatever idiom was being employed for that particular project, comfort and a reference to nature were defining characteristics. Each of the houses, regardless of their scale or role, had a coziness typically based on the use of rush matting, wicker furniture and fresh flowers. The couple’s collection of Secessionist paintings by Klimt, Schiele and Carol Moll were those that reflected Marella’s love of gardens and naturalistic decorative motifs, which she further developed with an award-winning range of fabric designs launched with Federico Forquet. The witticism and élan of Marella’s taste can be exemplified by how paintings by Matisse and Balthus directed the design of a room on Park Avenue. The red kilim that unified the colour scheme later found a home at Aïn Kassimou, Marella’s last project in Marrakech, notable again for the relationship of house to garden. As the number of houses drew in, their contents formed the Pinacoteca Giovanni and Marella Agnelli, opened in 2002 in Turin and encompassing both the bolder, more jet-fuelled taste of L’Avvocato with the romantic, sensuous quality of Marella’s eye. In transferring a private collection to the public sphere, albeit displayed at Fiat’s disused factory, the Agnellis were also paying homage to American models of philanthropy and the public service that featured so distinctly in Marella’s background. A woman of legendary good looks and style, Marella Agnelli’s star quality was also based in her warmth and charm. She tempered her statuesque elegance with the family characteristic of a permanent twinkle, an amused and ironic appreciation for the vagaries of life.